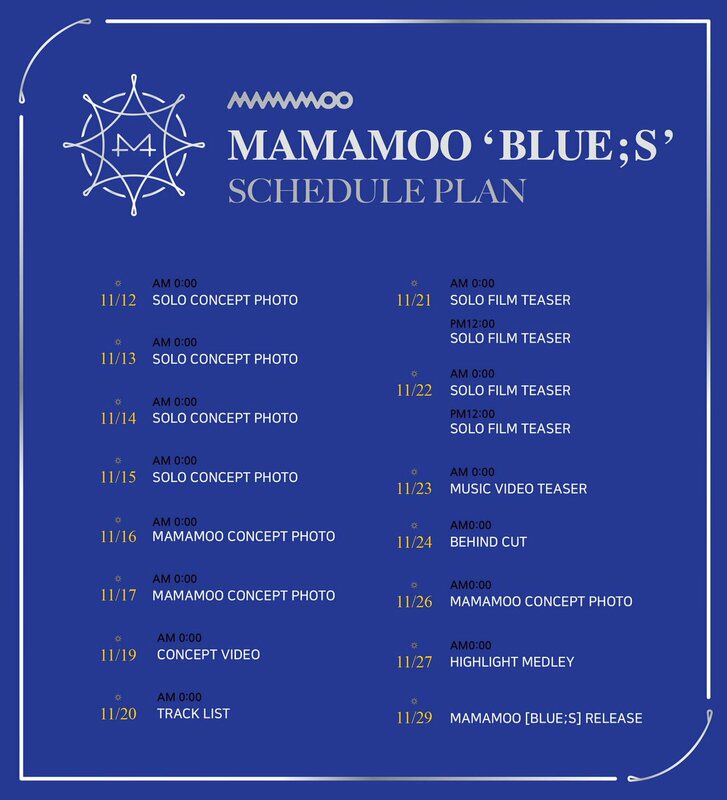 Teaser Mamamoo reveals schedule plan for new mini album "BLUE;S"
On November 7, Mamamoo announced their comeback date for November 29th and a day later they've revealed the comeback plans. Their new mini album "BLUE;S" is the third installment in the project "4 seasons, 4 colours" and the teasers will start on the 12th. I love how their having solo film teasers again. The girls deserve to have their own time to shine. I just hope they get to have solos in the album as well even if it's just a mini album.